Browse: Home / AppSecSwissKnife – Open-Source network scanning tool for internal and external infrastracture vulnerability scanning. AppSecSwissKnife – Open-Source network scanning tool for internal and external infrastracture vulnerability scanning. 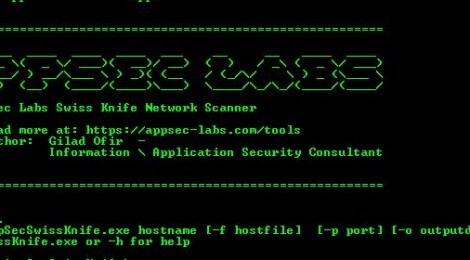 AppSec Labs SwissKnife is an Open-Source network scanning tool for internal and external infrastracture vulnerability scanning. The tool uses other Open-Source subtools to run scans and filter the results. ← Bedfuzzer – An Bruteforce Exploit Detector.